Eve’s older sister, Rosie, was bright and alive and always loved being the centre of attention. Then one day, she is brutally murdered. Six months later, Eve meets Antony and discovers that he was there the night Rosie died and did nothing to help. Is there any way she can ever get past that? Inspired by the Sophie Lancaster murder in 2007, which saw Sophie and her partner Rob viciously attacked in Stubbylee Park, Bacup, Lancashire because of the way they dressed. This is a hard-hitting real-life thriller about friendship, courage, loss, forgiveness and about our society and communities. Categories: England, Lancashire, Social/Family | Tags: Alan Gibbons | Permalink. Mitch and Ethan are best friends. Together they dream of a better life for themselves, a life safe from the gangs that dominate their streets. But when Ethan’s brother is charged with assault, violence soon seeps into the boys’ lives – and their friendship. And it only takes one desperate bargain and a shocking betrayal, and suddenly it is Mitch staring down the barrel of a gun . . . 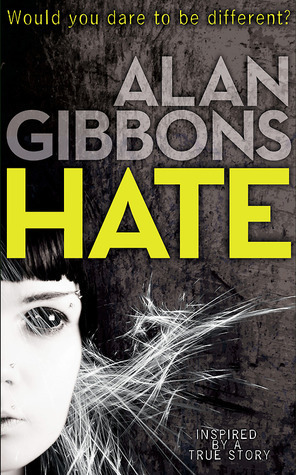 Categories: Crime, Thriller | Tags: Alan Gibbons | Permalink.